Our modern hurried way of life is opening a deeper and deeper gorge between our lives and the lives of our ancestors. Often we all, including those in experimental archaeology, can only stand and admire their capabilities and versatility. Unfortunately, experimenters often find themselves more involved in the organising finance and dealing with paperwork rather then research. 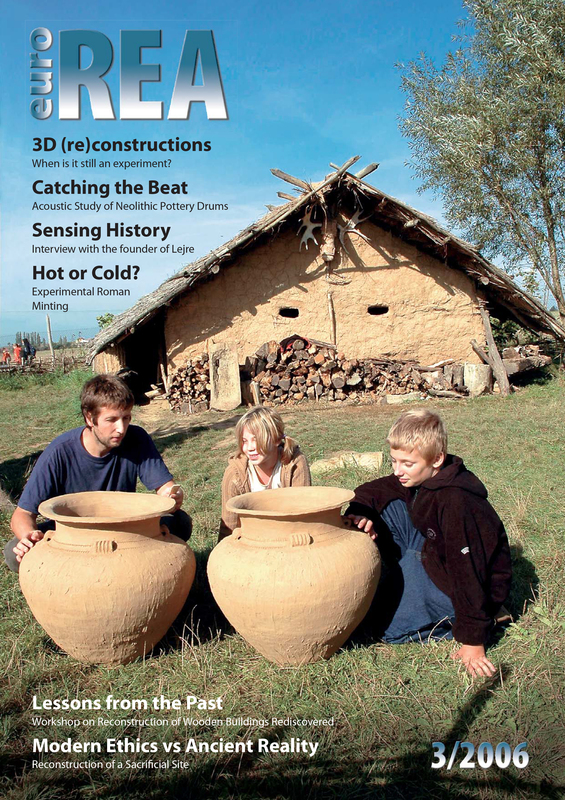 In this context, EuroREA asked experimenters from various parts of Europe in which direction the development of experimental archaeology should go in the near future. Carrying out research though, is only one part of the work of experimental archaeologists. It is also necessary to relay the knowledge gained, not only to other experimenters and archaeologists. Results of experimental archaeology can be used to bring archaeological findings closer to the wide public and many experimental centres fulfil an important educational role. Should we pay more attention to what the public are interested in? What are the limits to our reconstructions of prehistoric life? How can we bring history to life responsibly? These are just some of the dilemmas discussed on the following pages. Please find below the articles from this issue, which are available as HTML.